Summon: Put a random Animal into your hand. Eldergleam Matron is a rare Agility creature card. It is part of the Heroes of Skyrim expansion. 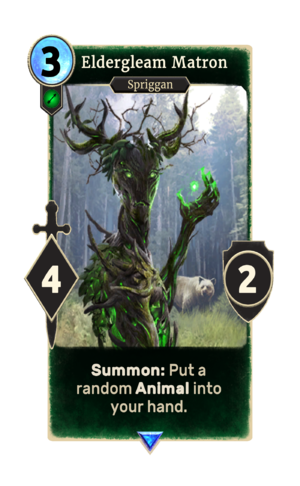 This card is a reference to Eldergleam Sanctuary in Skyrim.